The BBC iPlayer is finally coming to Sky, with the two agreeing a partnership that will see the UK's biggest video on demand service land on the popular satellite platform, along with more content from ITV. iPlayer is now a familiar sight on set top boxes, including those of Sky's cable-based rival Virgin Media, and this is a major step for both Sky and the BBC. With a UK launch date of 'later this year' the iPlayer will be arriving in 'up to five million Sky homes'. The service will run on the Anytime+ IPTV within the Sky platform, although the satellite giant has had to shift its policy to find a partnership with the BBC. 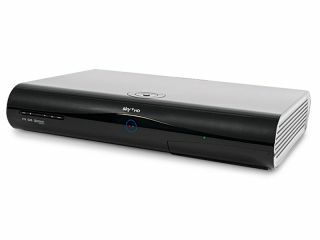 Previously, Anytime+ was limited to people with Sky Broadband but that is now to be opened out to anyone with a broadband connection that wants to connect it up to their satellite box. "A core BBC value is to reach all audiences on a universal basis, so Sky's plan to make Anytime+ available to customers regardless of their Internet provider is an important development in helping to bring BBC iPlayer to around 5 million new homes in 2012 – at no extra charge," explained the press release. BBC's iPlayer is not only the biggest VOD service in the UK, but has served as a major trailblazer for television over an internet connection on a global level. One of the Sky service's obvious gaps was the lack of BBC content on its catch up tool, and there will be delight within the company that a partnership has been reached. "Having the BBC and Sky work together to further build on the BBC iPlayer success story can only be fantastic news for audiences," said BBC Director General Mark Thompson. "Making BBC iPlayer available on all platforms is key to our commitment to universal access and this agreement takes us one step further towards that goal. "I'm delighted to take this first step on a story of innovation for both organisations." Jeremy Darroch, Sky's chief executive, added, "Sky Anytime+ will go from strength to strength in 2012 and we are delighted that the addition of BBC iPlayer will allow Sky customers to enjoy the best of the BBC whenever they want." Although the iPlayer will inevitably steal the headlines, the arrival of more ITV content (from tomorrow) is also significant as Sky looks to compete with new on-demand rivals like Netflix. Within the main Anytime+ menu, there will be a dedicated ITV Player section some of Britain's best loved shows - including Cold Feet, Prime Suspect and Lewis - will be available on demand. It's a red-letter day for UK VOD with the potential that five million homes will take up the chance to watch both ITV and BBC content by the end of the year. And it sends a clear message to the likes of Netflix, Lovefilm, Google TV and YouView that Sky believes it can remain a dominant force in British television.